Some will think this stuff and nonsense but I have been stewing about something for while and it has truly been bugging me. Specifically, should I have one for my voice over marketing? I have one for the Voice Over Entrance Exam and I have my own personal Facebook pageâ€¦but do I need a “Fan” page? Sheesh! Social Media clearly has a narcissistic component to it. Rarely are you asking people on Twitter or Facebook or LinkedIn or on your blog how they are doing â€“ more likely you are telling people who, what, when, where and how you are doing. There is no ME in team but there sure is ME in Social Media. Yet most of us play the game and often times enjoy it especially when there is give and take, usually always pleasant. That’s awkward to ask and seems kinda desperate in appearance when the Fan Page is about me (the e-book is a “thing” and it helps people â€“ I have no problem with a Fan Page there). I have joined a ton of fan pages for other people and never gave it a second thought. No, I didn’t think they were desperate at all because of their Fan Page. But I look at myself differently. 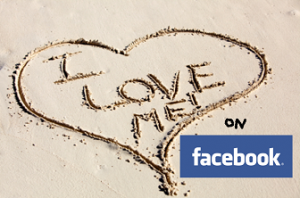 It feels like I am being egotistical if I do this Fan Page thing. The old comic line “But enough about me, what do YOU think of me?” comes to mind. Again…awkward is the word that keeps coming to mind for me. From a business stand point, it could help me communicate with people on Facebook who are interested in my voice over business (the same reason I participate on LinkedIn and Twitter). That’s the big “Pro” in the “Pro/Con” debate that’s been raging in my cranium literally for months. Well, ultimately that was the deciding factor for me and shamefully, I am announcing I have a Facebook Fan Page now (talk about burying the lead). Peter K. O’Connell â€“ Male Voice Over Talent is what its called (for the SEO lovers out there). In this context, it sounds as ridiculous as “Peter K. O’Connell â€“ Male Model” but, in for a penny, in for a pound. We’ll have to see how long I can stomach this. I make no promises. Social Media VO is the web child of its parents, voice talents Terry Daniel and Dave Courvoisier and their unholy union on the stage of VOICE 2010. This was a presentation created from scratch, not part of some sales seminar they’ve given over and over. I know because at various parts of the past four months, I’d spoken with both of them and watched their creative process evolve on-line. There was a lot of work put into it and it showed. It was helpful, thoughtful and insightful. Whether you are a voice talent who needs to enter the social media playing field and feels clueless, a voice talent whose been around social media but could use some pointers or someone not at all in voice over who falls under part of either criteria, this web site would be worth you time and attention. Let it be said up front that the clean up was on account of (bad english alert) stuff that I put on the site in the first place. Was I wrong then? Probably not…the web is an evolving place and our job as business owners is to stay on top of the changes for our site. What made sense then may not make sense now. Plus, refreshing a brand or at least tweaking it on occasion (note that) is not a bad thing. My point is with the growth of the International Voice Talents, Voice Over Workshop and even the female voices, the site can revert back to its original platform – promoting my voice over business. The plan I developed when I started those businesses was to build on my web equity and that would mean sacrificing a little of my own voice over business to do that. Well, I got ‘er done enough for those two as they are up and running on their own; it was time to update the web site and I did…and will….forever. A. This is the first part of the changes involving the navigation of the site. It used to say male voice demos – which were all mine. Now it has my name on there which is clearer for the visitors (over 1,400 of you unique folks last month and I thank you). The other part was clarifying how to book/hire me…sort of asking for the order, if you will. This involved looking at some of the content on the site already and reordering it within the navigation. B. This part involved cutting out some navigation stuff that was old or unnecessary. Just as a couple of quick examples: I dropped the client login button (I email an FTP address to clients which is easier and simpler) and dropped the voice over workshop link (people use www.voworkshop.com now). Much cleaner. D. A break with lower case tradition, in just this one instance. We’ll see how that goes. E. Pulled out about three demos here having everything to do with money. Thank you God it’s been an OK year for business and I’ve been making money in my core areas of commercial and narration. But message on hold sounds the same everywhere and podcasting is not an area where many folks focus on quality or expenditure…of any kind. So buh bye. F. As mentioned earlier, a little branding paint has been applied to the site and this text area was a key place to convey this message. Plus it’s not a bad thing to freshen up the text for the bots occasionally. G. A key part of my marketing effort is to get out a press release every month and yet I fall behind. Not because I don’t have stuff to write about but rather I don’t make the time to get the writing done. So there are two fresh press releases on the home page. Just so we’re clear, this post isn’t meant as an ode to me but rather as a pot stirrer for you and your web site. Certainly if things are going exceedingly well, I am not encouraging you to screw with your formula. But a reflective and maybe even critical eye could help you see things on your site that need a little improvement. And there was no heavy lifting involved in this process. Today started of kind of depressing. Cold and rain have come to stay and we even had a dusting of snow that ultimately meltedâ€¦all combining into my least favorite weather. Add to that the sync between my phone and my computer is on the fritz, so I wasn’t expecting to much from this particular Wednesday. But I am about to prove that what you think you know about a day ain’t necessarily the whole story. 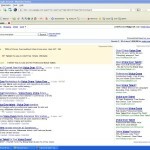 Late today I was on Google and I checked the listings for voice over talent, a primary listing in my field. And I did a double take. 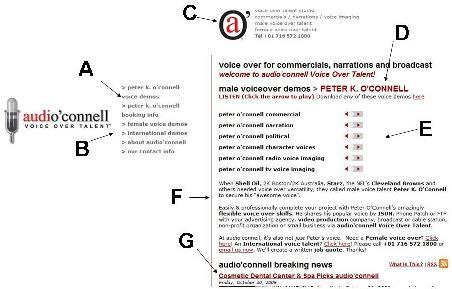 Right there, under the paid ad as the first organic listing was audio’connell Voice Over Talent’s web listing. Number 1. Click the picture to see the page. It’s a nice feeling. And I enjoyed it for the moment. Heck, I am enjoying it now. I hope I don’t sound like I’m bragging. I know better. 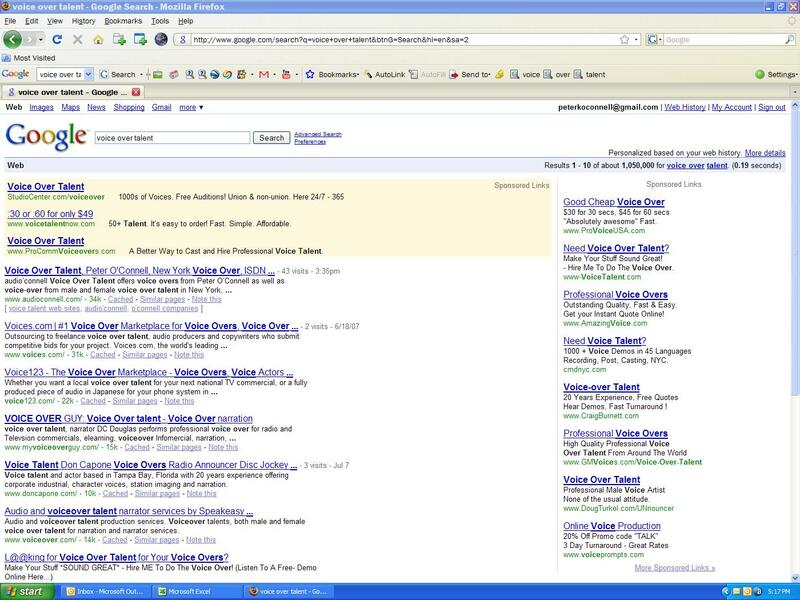 Search engine listings, even on the mother ship, can be fickle things and positions change constantly. Yet it was nice to see a ray of sunshine on my screen today as the weather turned gray. Thanks to all of you who visit. Thanks even more so to those of you who visit and hire. Everyone on the site appreciates you attention and your business.